The good news about the impact we are making is spreading! Two publications from neighboring Iowa recently featured La Crosse Promise. 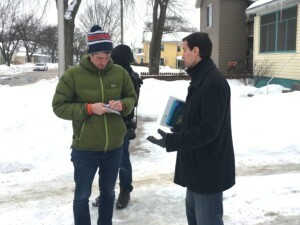 Brian Fukuda, Community Development Specialist at La Crosse County and one of the first champions for La Crosse Promise answers questions from Brian Morelli of The Gazette. 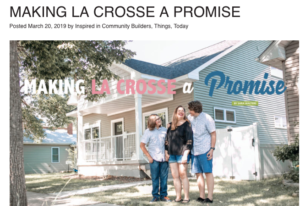 Lissa Carlson, along with her sons Christopher and Corbin, were a featured La Crosse Promise family in Inspire(d) Magazine. They were one of the first Promise families to move into a new home on the south side of La Crosse.